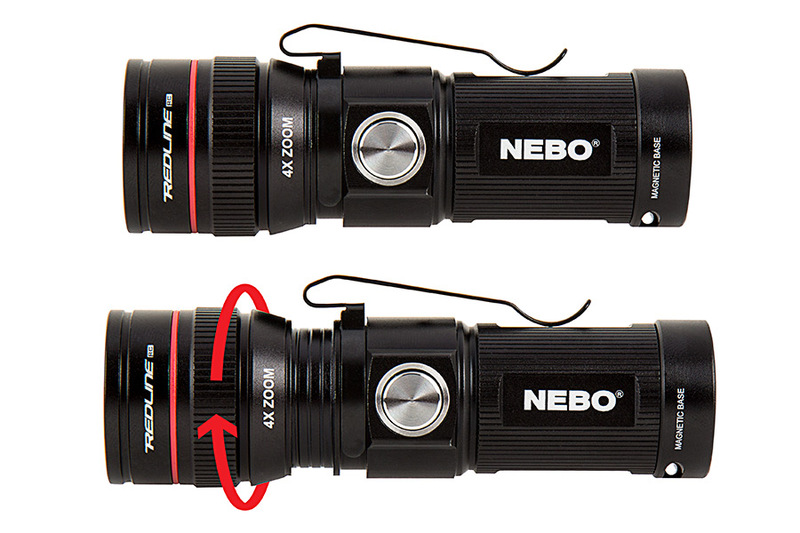 Rechargeable LED Flashlight with Charging Dock - NEBO REDLINE RC : On Showing Beam Pattern In Narrow (Top) And Wide (Bottom). 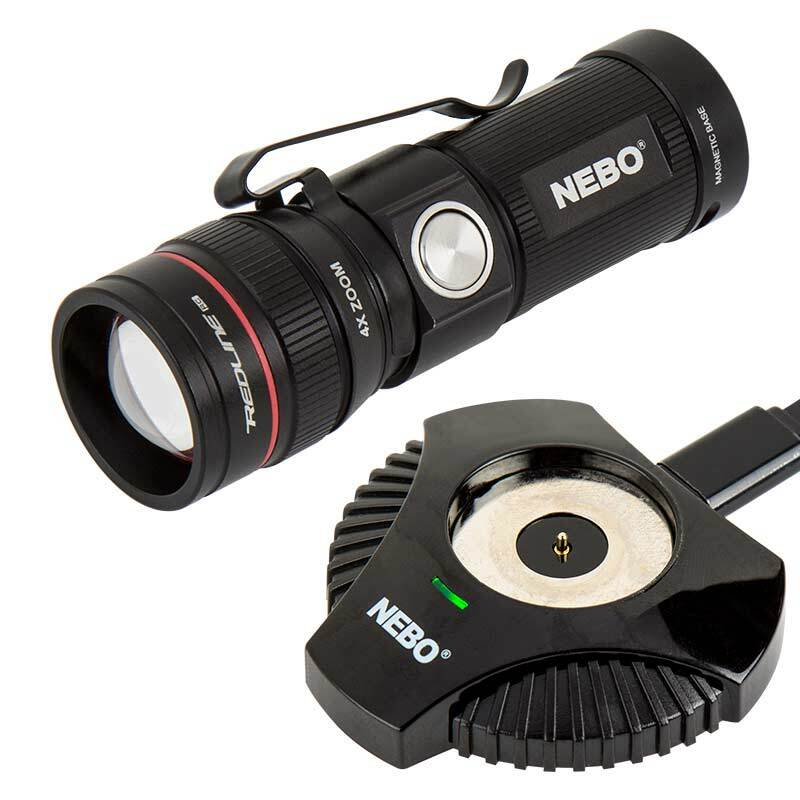 Rechargeable LED Flashlight with Charging Dock - NEBO REDLINE RC : 360° View. 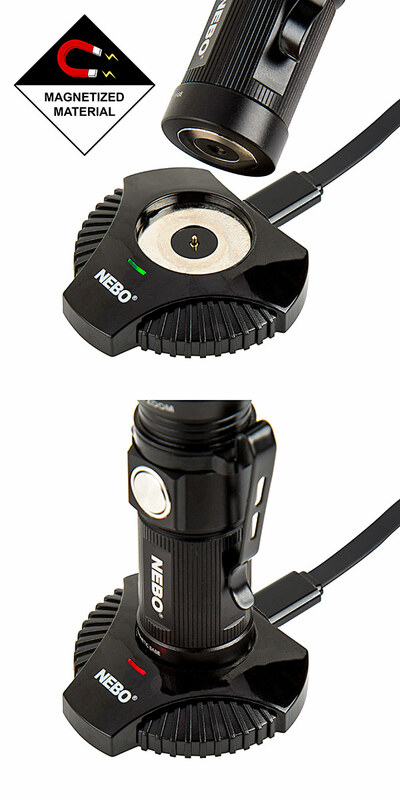 Rechargeable LED Flashlight with Charging Dock - NEBO REDLINE RC : Showing Beam In Full Power (Top) Mid Power (Center) And Low Power (Bottom). 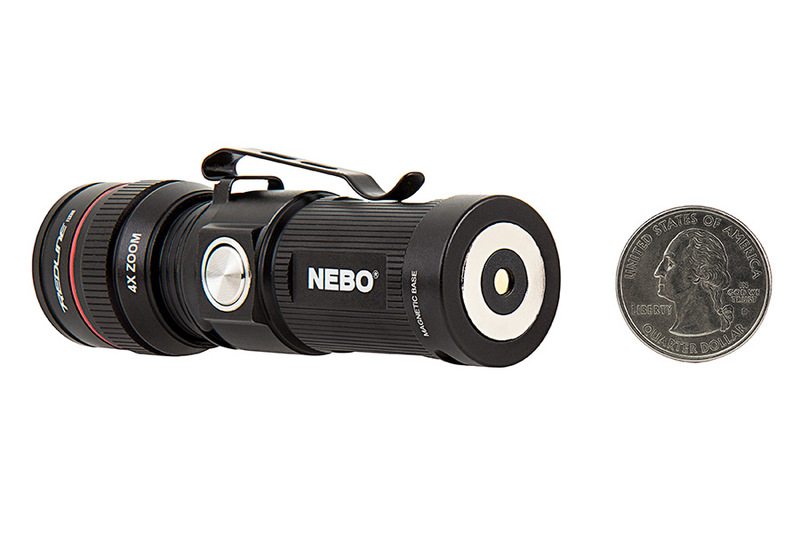 NEBO's REDLINE® RC™ with MagDock is a rechargeable LED flashlight that's built for convenience. With the MagDock magnetic docking station, you can easily charge your REDLINE® and leave your battery-replacing days in the past! 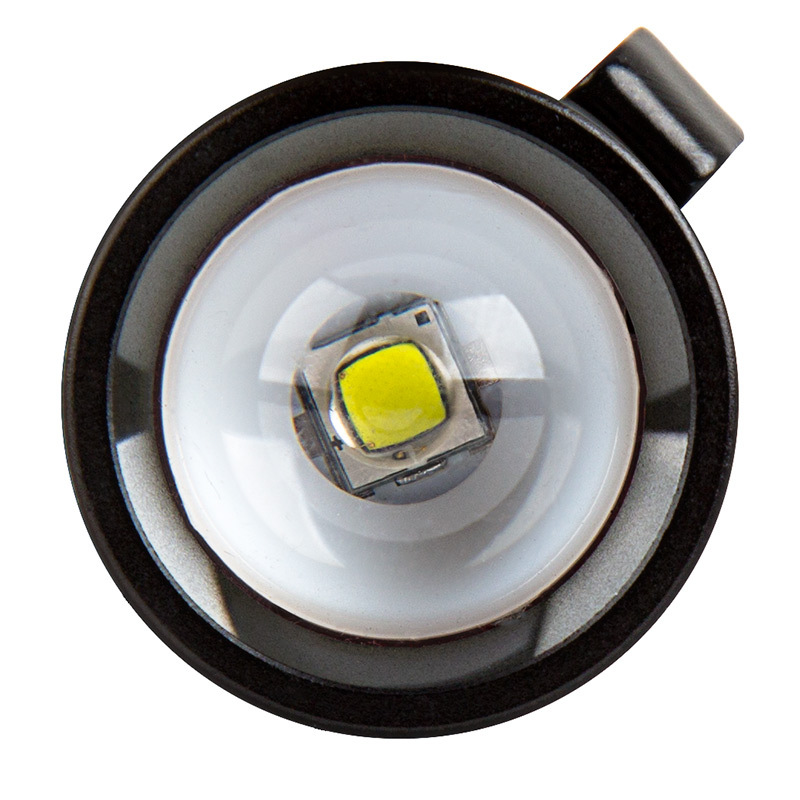 From its compact size to its impressive light output, this rechargeable flashlight lives up to REDLINE® series standards. 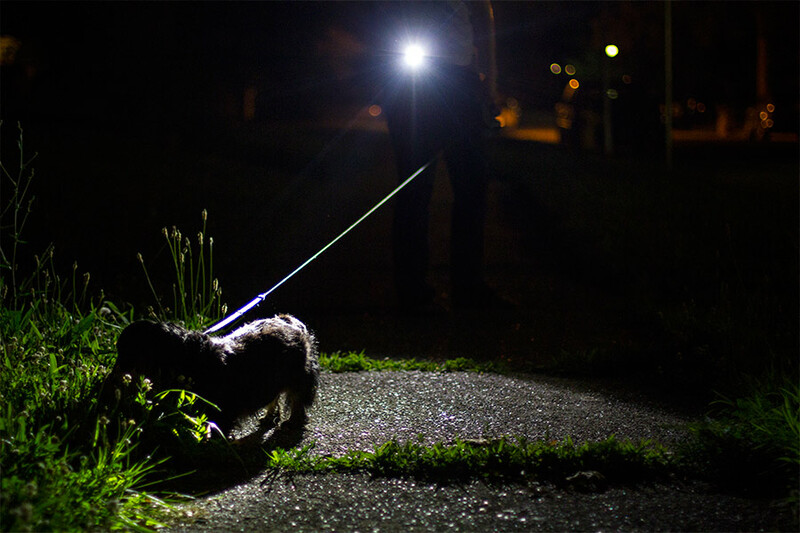 The flashlight offers 4 different light modes—high, medium, low, and strobe—and delivers up to 320 lumens of illumination. 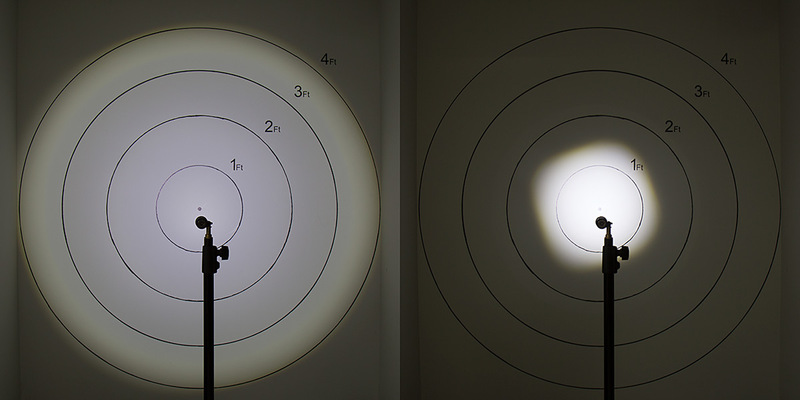 With 4x adjustable zoom and OC™ (optimized clarity) Technology, you can experience different beam patterns and light that is equally bright from the edge of the beam to its center. 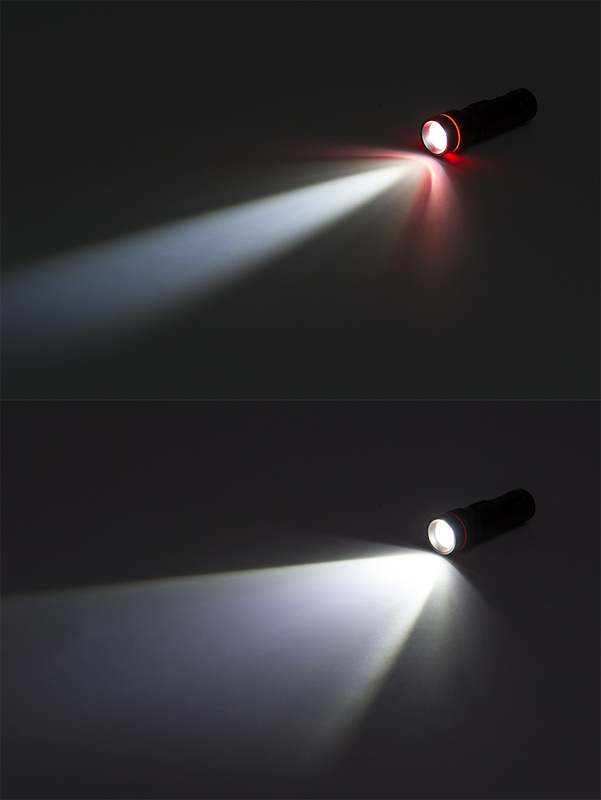 The durable anodized aircraft-grade aluminum flashlight is water and impact resistant with a non-slip grip, magnetic base, and an attached lanyard. 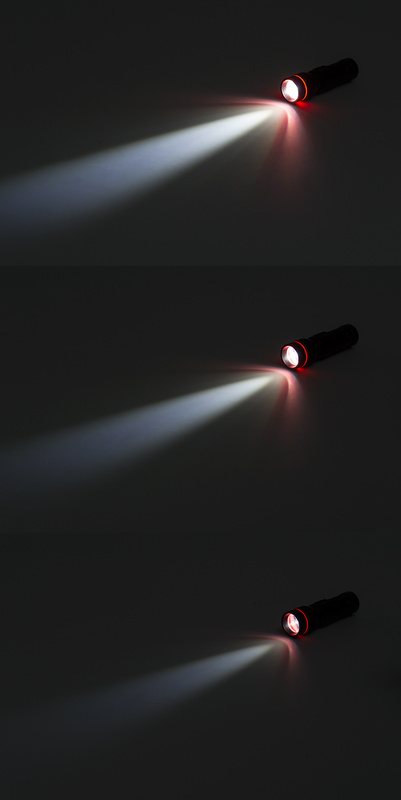 Designed to last up to 9 hours with its lithium-ion battery, this LED flashlight has a charge time of only 2 hours. A USB cable is included with the MagDock. Brite, maybe even to brite on high setting. Seems to be good quality for the price. Charge station works well.